A popular idea of newly found cities or high schools is to place a time capsule of an important or noteworthy time to be later dug up and examined as a source of nostalgia. Let’s take this a couple of steps further. Imagine a time when we could find super massive objects in space and place a time capsule in orbit about it. Due to the effects of the time dilation part of relativity we could utilize this as a way to preserve our entire knowledge as a species in an extremely elaborate version of the high school time capsule, supply it with fuel and the ability to maneuver, and send out pings for its location. This would allow for eventual recovery by either whatever our species becomes in the future or another species altogether. This could be a repository of all human knowledge safely placed in its out of sync bubble of time. Years could pass for the capsule while thousands of years pass for us. This doesn’t have to be restricted to just knowledge. We could utilize it to preserve genetic information as a time capsule to keep safe an entire copy of our biosphere’s genetic makeup. If we can assume that our technology is sufficiently advanced with the ability to find an object like this and retrieve it, we could easily assume that we could also use it to store our entire human species by taking neurological copies of all humans and store them in this time capsule. Those unaware of what types of effects relativity has on space and time, the movie Interstellar released in 2014 popularized the concept that massive objects warp space time. In the movie the closer one is to a massive object the slower time travels for that person. Those who are still skeptical about this natural phenomenon must realize that the cellular device in your pocket relies on adjustments for relativity on a second to second basis. The satellite that your phone connects to orbits the earth and makes constant adjustments for relativity time drag. If it did not make these adjustments, your maps application would show your location drifting across the country due to the inaccurate information. Another misconception is that black holes are a time and space vacuum cleaner sucking in anything in the vicinity. While the immense gravitational pull is a very real thing, and if stuck in a decaying orbit they will indeed be absorbed, objects can safely orbit a black hole like any other celestial body. 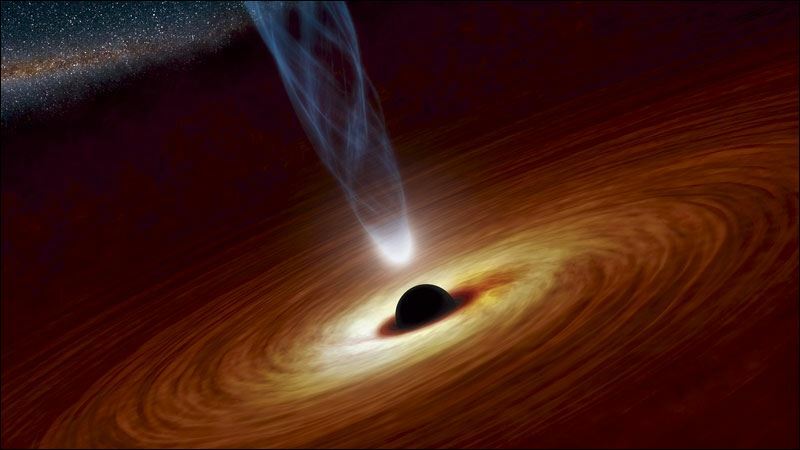 A black hole is nothing more then a mass of matter that is so large that it can’t let a photon escape its surface. In the same way earth is large enough to keep oxygen held to its surface, but not massive enough to hold helium down, it floats back out into space. If our sun was instantly replaced with a black hole of the same mass, we would continue to orbit it like we are now, except every living thing would obviously freeze to death. With all this said, if we surpass the ability to traverse space to encounter these types of objects, placing Time Capsules in orbit around these objects, this might be advantageous for those “just in case” scenarios.